The skyvale Messenger bag is a single shoulder strap pack, and has a fully loop-lined rear CCW compartment. The front organizer compartment has a magnetic and zippered closure. 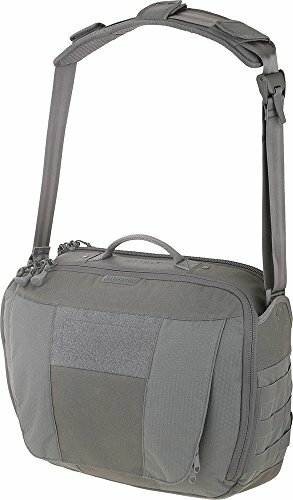 The main compartment has numerous pockets, sleeves, and elastic loops for excellent organization. There is a dedicated 13.3 inch laptop compartment and a padded tablet sleeve. The shoulder strap includes a curved shoulder pad and pivoting strap connections. The overall volume of the pack is 975 cubic inches (16 liters).